Ed note: Over the summer, we’ll look at the best players that likely have played their last game in the NHL and ranking the Top 5 jersey they’ve worn in their illustrious careers. 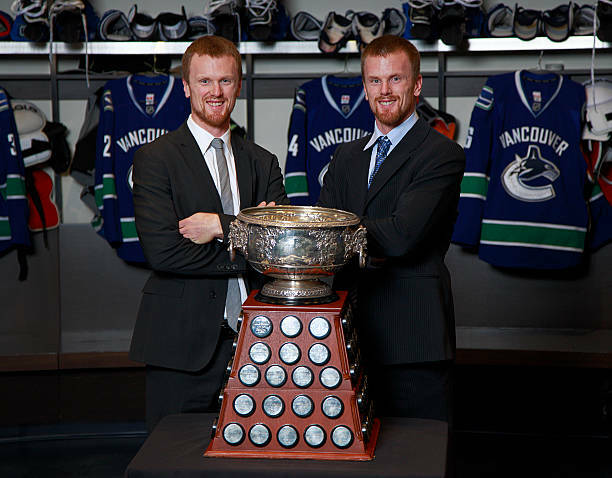 Today, we start with the Sedin twins. Not every hockey players gets to go out on their own terms: choosing when to retire instead of being forced into it. 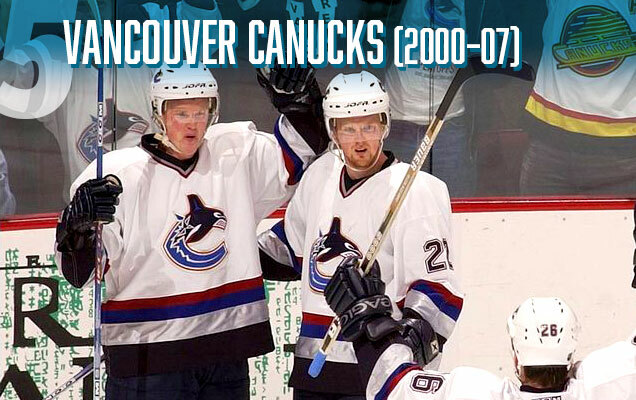 But the Sedins have always been something special. 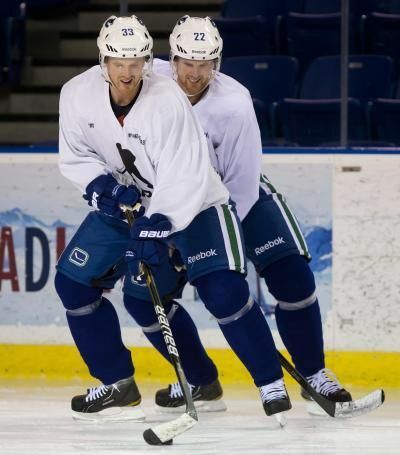 Whether it’s playing together their entire careers on the same team (almost always on the same line), their telepathic chemistry together, their near identical career numbers and accomplishments, Henrik and Daniel always chose their own path. 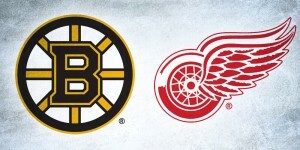 And in April they chose to play their last game in the NHL, calling it a career after 18 years in the NHL. Let me just start by saying that these are not great jerseys. 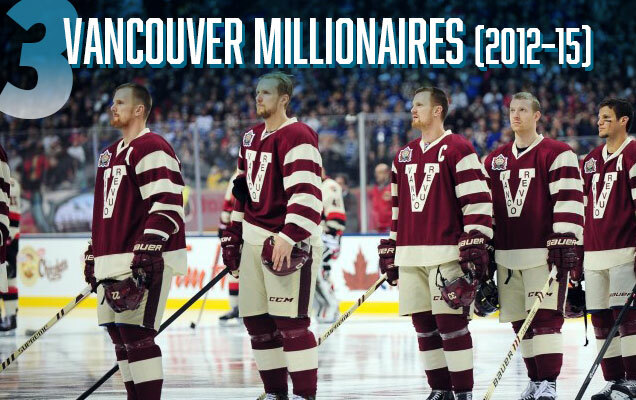 But the Sedins, seeing as how they’ve only ever played on one team that hasn’t really changed their look that much over the last two decades, have a limited list of jerseys to start with. 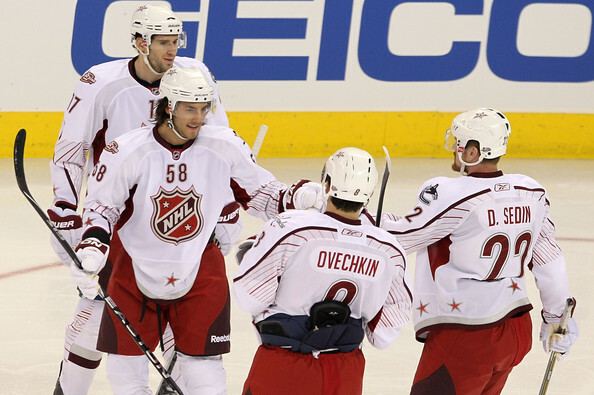 These are the first NHL jerseys they put on, the ones they scored their first NHL goals in, the ones that they scored in quadruple overtime against Dallas in 2007 in. 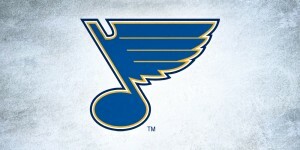 But the combination of red, silver, and navy/royal blue (and a third shade of blue on the logo) is a mess, with the navy blue being too dark and coming across more like black, the other blues being too placid, the red just there for no reason (bleeding gums orca, anyone? ), and grey being…grey. The piping is strange, using different widths of stripes and being a little stripe-heavy. 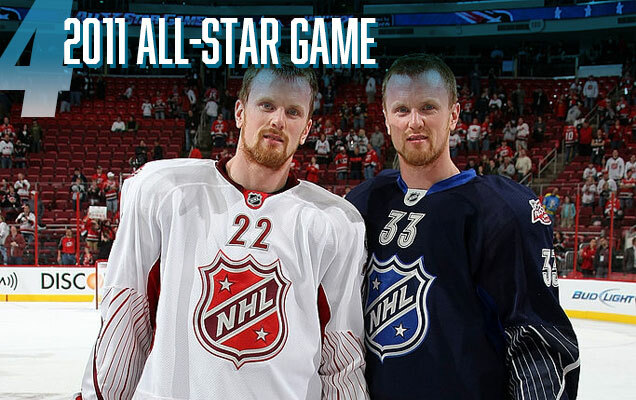 That all being said, the Sedins have still worn worse jerseys. The jerseys for the All-Star Games have been pretty hit-and-miss that last few years, but there was a time when they were interesting, innovative, and (relatively) well-designed. 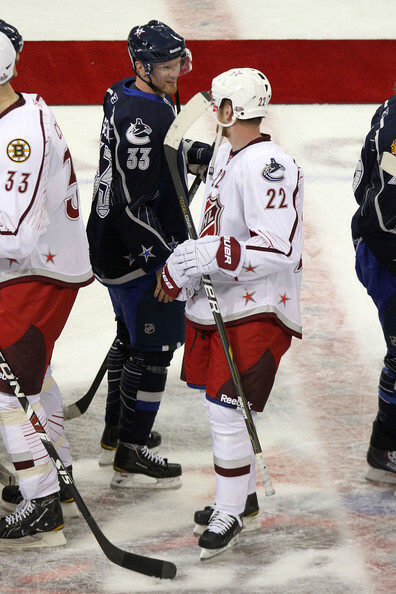 Plus, these jerseys from the 2011 All Star Game are the *only* professional hockey game that Henrik and Daniel have been on opposite teams, so that alone makes them jerseys of interest. For the actual design of the jerseys, yeah, these ones are pretty busy with a few strange decisions being made, the most obvious of which is squishing the players’ numbers on the front. There’s also the sunburst rays on the back and sleeves of the jerseys, but they’re thin and give visual interest to balance an otherwise very minimalist jersey. Other great elements: making the NHL logo more interesting by using two tones of red/blue to give it some depth, the simple stars placed along the bottom of the jerseys, the subtle way the shoulder yoke lines curve around the sleeves from back to front, the two tones of blue/red. There’s a lot of subtle elements here that make a cohesive, innovative, and attractive jersey. The Canucks used these sporadically for a few seasons – including the 2014 Heritage Classic – going winless in them, but the Sedins never looked so good while losing. And Daniel helped set up Burrows’ record-setting goal in this jersey, with Henrik on the ice as well. 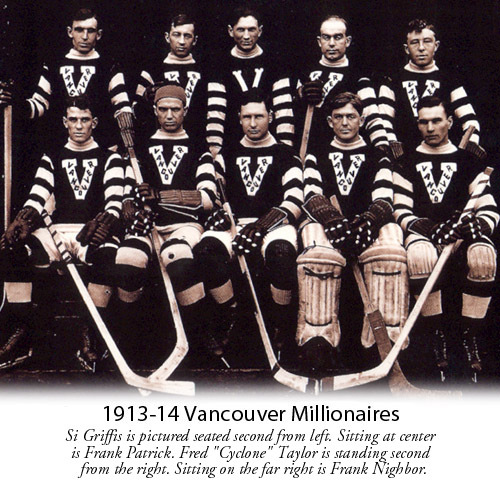 The jerseys mimick the only Vancouver team to ever win the Stanley Cup – the Vancouver Millionaires – in an absolutely wonderful jersey that looks authentically historic, complete with an off-white/burgundy palette, a quirky letter-based logo, and lots of stripes. Are the sleeve stripes a bit much? Sure. 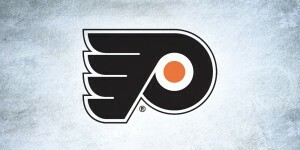 But it’s balanced by a minimal looks everywhere else on the uniform, with few stripes elsewhere. 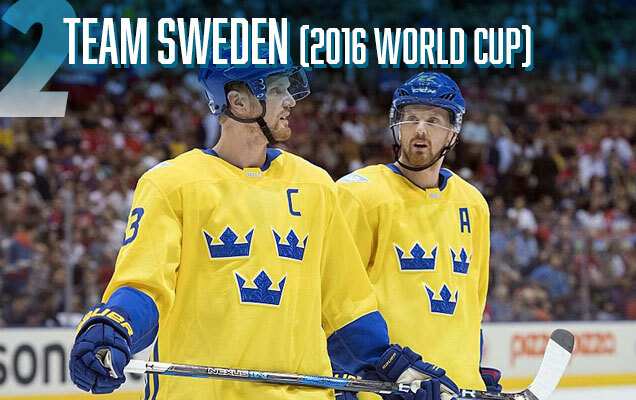 Along with the NHL, the Sedins have held a prominent place on the Swedish national team during their careers, winning Olympic gold (2006) and the World Championships (2013) wearing the Tre Kronor. 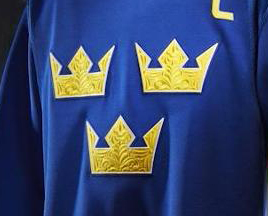 While the Swedish jerseys rarely change (and deservedly so, cuz they’re awesome), the latest World Cup of Hockey edition gets on this list, mainly because of the use of the subtle embroidered details within the crown themselves, which give some wonderful detailing to what’s always been an excellent minimalist jersey. It’s one of the few jerseys from the WCOH that worked with the Adidas tri-stripe on the sides. And the gold jerseys, literally and figuratively, shines brighter than its blue counterpart. 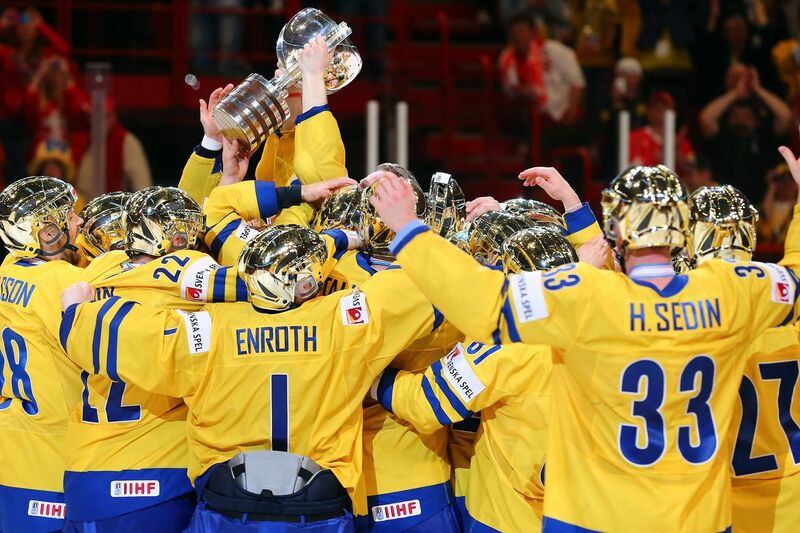 From a strictly design perspective, I know there’s no way these jerseys beat the Tre Kronor. 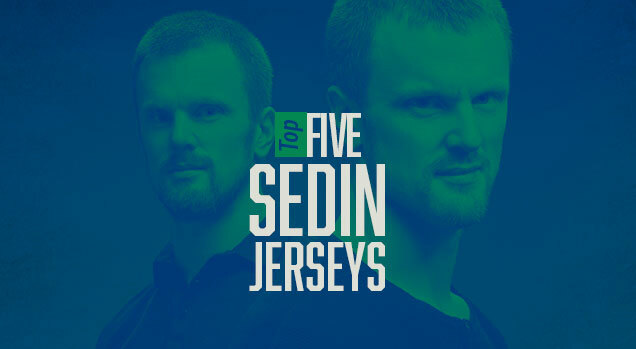 But from an iconic perspective within the context of Henrik and Daniel Sedin, this is the jersey that they are best known for, and the fact that these are definitely the best jerseys the Canucks have ever worn, it’s fitting to place it at the top of this list. I’ve always found these to be underrated jerseys: simple, strong, unique colour combination, consistent, well-balanced, and it looks great on the ice. Plus, this is the jersey that they scored arguably their most incredible goal in, they reached their highest level of NHL-success in, and that they so magically said goodbye to Vancouver in. 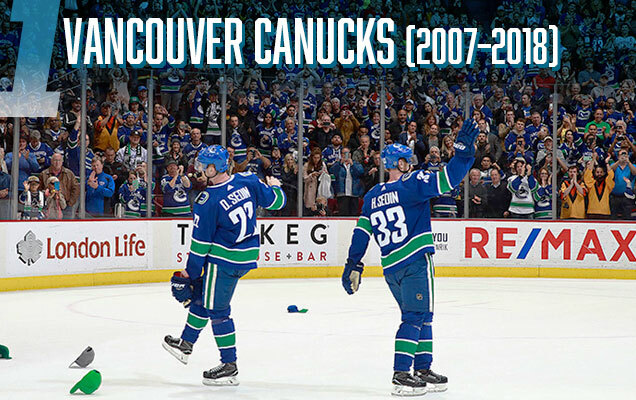 And as the only brothers to both reach 1000 points in the league, it’s the jersey that they’re going to the Hockey Hall of Fame in (if that was a thing), and will be hanging in the rafters at Rogers Arena before long. It’s the #1 Sedins jersey. While I see your reasoning for the Canucks jerseys, the Tre Kronor should take the W.
I think the throwback flying skate jersey deserves to be on the list over the all-star jersey. Yeah, I expected some comments about this. My hot take: it’s not really that great of a jersey. everyone else encountering problems with your blog. be a issue with my web browser because I’ve had this happen previously.